When we’re facing a deadline or getting ready to tackle a big project, the standard approach is to plan from the beginning and then work our way forward, starting with the first step and ending with our final task. In recent years, however, a method known as backwards or reverse planning has been receiving a lot of attention, and it’s exactly what it sounds like. When you plan in reverse, you start with your end goal and then work your way backwards from there to develop a plan of action. For example, if you have a paper to write, rather than focusing on the first steps, you would start by looking at the paper’s due date and identifying the last action you would need to take. How far along would you need to be the day before the deadline? When would the first draft need to be ready? When would the research stage need to be complete? As counterintuitive as it may seem, working backwards in this way can give you a much clearer picture of what and how much must be accomplished during each phase of a project. It can also help you identify and avoid unnecessary activities. Studies show that planning in general can enhance self-control and contribute to improved academic performance, but the fact of the matter is that how we plan is also very important. In order to understand how the type of planning we use can affect goal pursuit, researchers from the University of Iowa and Peking University carried out a number of experiments with 300 university students who made plans to tackle goals such as revising for an exam or prepping for a job interview. For the sake of the study, they identified two main methods of planning; forward planning and reverse planning. They found that when students used reverse planning, they were more motivated, had higher goal expectancy, and felt less time pressure. There was also a marked difference in success between forward and reverse planning. Reverse planning not only enhanced student motivation and perception, but changed the actual outcome by improving student grades. These effects don’t seem to be driven by the plan itself, however, because once finished, backwards and forwards plans tend to look pretty similar. Instead, it seems to be the process of reverse planning that can increase motivation and goal expectancy. Future retrospection can help increase our anticipation of pleasure from achieving our goal, which brings about goal-directed behaviours. Another reason backward planning may be more effective than forward planning is that it helps us focus on a positive outcome. When we plan chronologically, it’s easier to get caught up thinking about all the obstacles that might prevent us from reaching our goal. Earlier research also shows that our motivation tends to be at its highest at the start and near the finish of a project. But reverse planning provides a kind of map to the finish line by outlining each step we’ll need to take along the way, and this can help us stay focused throughout the whole project, even at times when motivation might otherwise be lagging. Interestingly, these findings only hold true when the goal is complex, such as a comprehensive final exam that requires students to review a lot of information or a long-term project that involves a sequence of steps. When the goal is a relatively simple one, there doesn’t seem to be much difference between chronological and reverse planning. Why? This is likely because simpler goals or less complex projects that require only a couple of steps are already easy for us to visualise and seem more attainable regardless of how we plan. So now that you know reverse planning has the potential to help you reach your complex goals and even improve the outcome, how can you go about crafting your first backwards plan? The process of constructing a backwards plan can be a bit mind boggling at first, because you have to approach projects from an entirely different perspective than you’re used to. But if you’re ready to give it a try, here are a few things to keep in mind when planning in reverse chronological order. Before you start constructing your plan, look at the end goal. What is it that you need to accomplish? Do you need to write a dissertation? Is there a big exam coming up? Are you going to an important job interview that you need to prepare for? Once you have this goal clearly in mind, you can start working your way backward. What’s the last step you will need to take before you hand in your dissertation or turn up at your job interview? Perhaps you’d need to proofread your dissertation to check for typos and ensure clarity, or in the case of a job interview, maybe you would want to double check your outfit and review your notes. Previous research has shown that envisioning the steps you need to take to reach your goal can increase confidence, reduce anxiety, and lead to more effortful actions. So make sure you identify and outline clear steps and milestones as you go along. Try to make each step as specific, realistic, and actionable as possible, as this will help you work out which tasks are likely to require the most effort or creativity, and plan your time accordingly. Remember that the plan itself isn’t what’s going to make the biggest difference, because once you’ve finished creating your reverse plan, it won’t read all that differently from a chronological one. The thing that’s really going to help you in this case is the process of thinking about your goal and working backwards from there to identify each step you’ll need to take along the way. So don’t try to rush through the planning process or feel like you have to put together a perfect plan, because reverse planning is more about the journey than the destination. 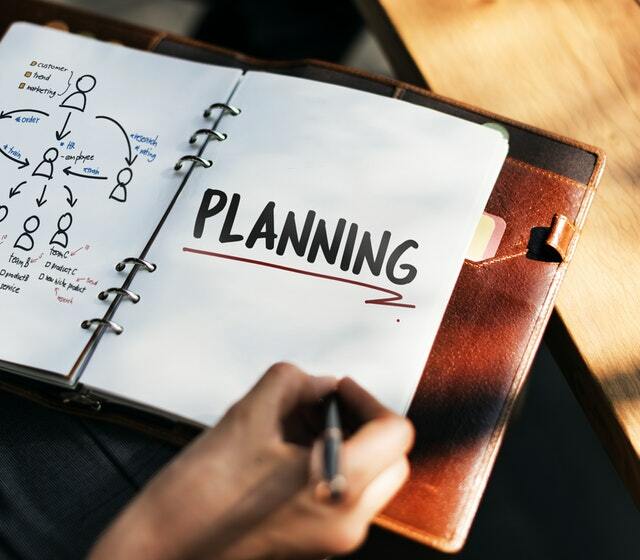 Part of the reason reverse planning is so effective for complex goals is that it helps you focus on the outcome rather than on all the things that might go wrong along the way. When you visualise a positive outcome, such as passing your exam with flying colours or acing your job interview, you’ll already feel closer to that goal than you would if you focused primarily on how much effort it’s going to take or what might go wrong. Of course, it is also important to be realistic about the potential difficulties or obstacles you might face as you work towards your goal, but visualising a positive outcome can put you in the right frame of mind to succeed. Reverse Planning is very useful sometimes.Thanks for explaning it. Yes you are right man. Reverse planning is exactly very useful for many times.